This sweetly scented climber graces the hedgerows with its attractive flowers in summer and occasionally climbs to a height of 6 metres. 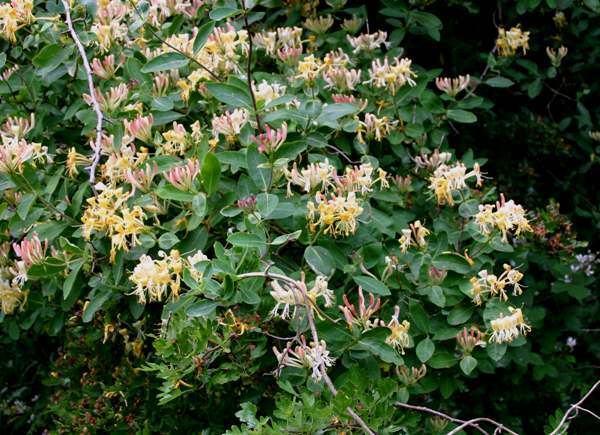 Wild Honeysuckle (also referred to by the common name Woodbine) is most strongly scented in the evening and attracts moths, which polinate the flowers as they gather nectar. This deciduous climber has oval grey-green leaves and trumpet-shaped flowers in flat clusters. The flowers vary in colour from white or yellow through to pink or red. 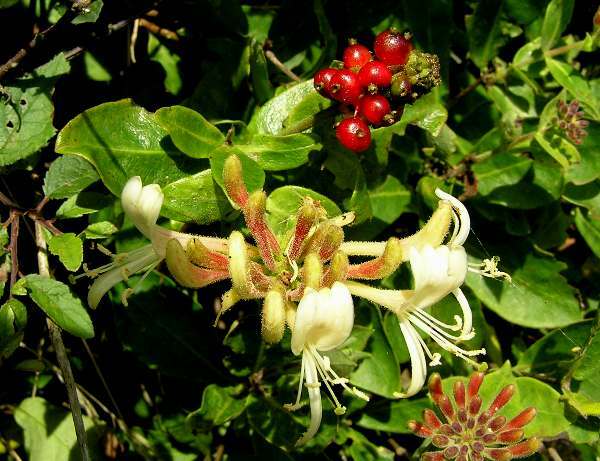 Honeysuckle is common throughout the UK and Ireland. 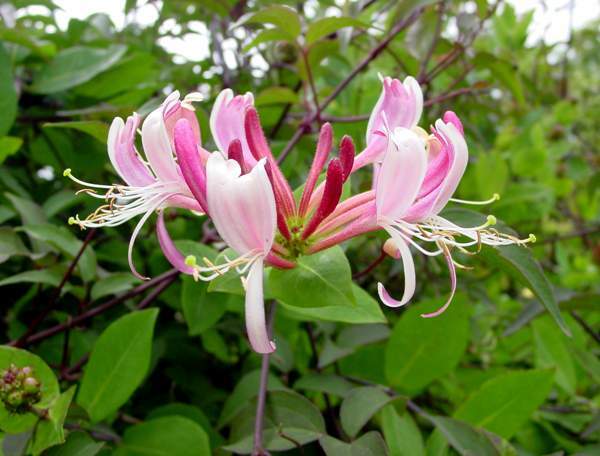 Honeysuckle is a clockwise climber and can rapidly cover trees up to six metres tall. Honeysuckle blooms between June and October, and it is quite common to see the red fruit berries alongside fresh Honeysuckle blooms in autumn.